Tagaytay is famous for being one of the best garden wedding destinations near the Metro. With its cool climate, beautiful landscapes and breathtaking views, more and more couples are flocking to this city for both intimate and grand weddings. 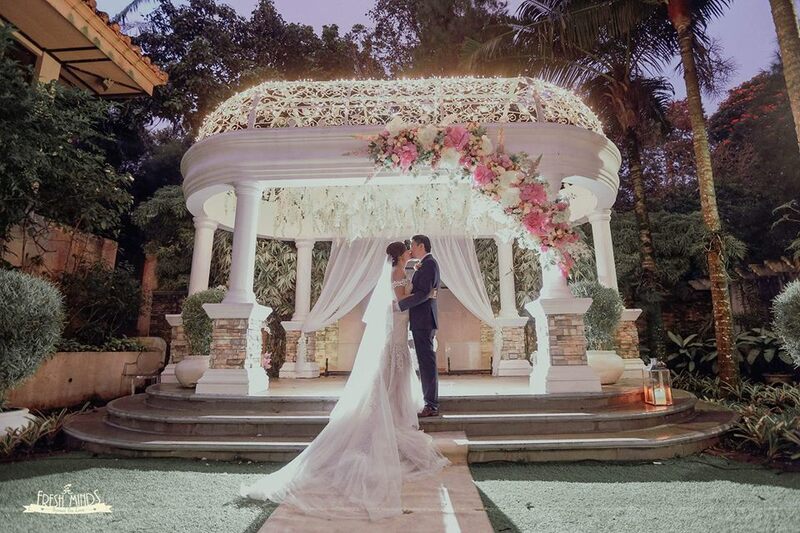 If you’re dreaming of a dreamy luxury garden wedding, Hillcreek Gardens is a top choice in Tagaytay. This beautiful Tagaytay garden wedding venue is a 3.2 hectare coffee plantation down a quiet lane off the city’s ridge road. Originally starting as a farm in a family estate, Hillcreek Gardens opened its doors to soon-to-wed couples in 2007. The family lovingly developed the lush gardens not just for them to enjoy but also to share with couples who dream of celebrating a garden wedding away from the hectic city life. Just a 90 minute drive from Manila, Hillcreek Gardens offers luxury amidst a wide range of tropical plants and flowers, footbridges over fishponds, pocket gardens with outdoor sculptures, a quaint chapel amidst a sprawling garden plus all the wedding facilities you need. The atmosphere of this garden wedding venue is an ideal choice for vintage garden weddings. Hillcreek Gardens offers three kinds of wedding packages: the Premium Love Food Package, the Basic Love Food Package and the Small Wedding Package. Wedding packages include the use of Hillcreek Gardens as a reception venue plus catering amenities, scrumptious food, prenuptial pictorial session, day use of bridal suite, lights and sounds, and smoke and bubble machine. For Christian ceremonies or cocktail receptions, couples may opt to use the beautiful Gazebo Garden. Their wedding venues may accommodate from 50-500 guests. Hillcreek Gardens is also open to couples who want to have beautiful prenuptial pictures. 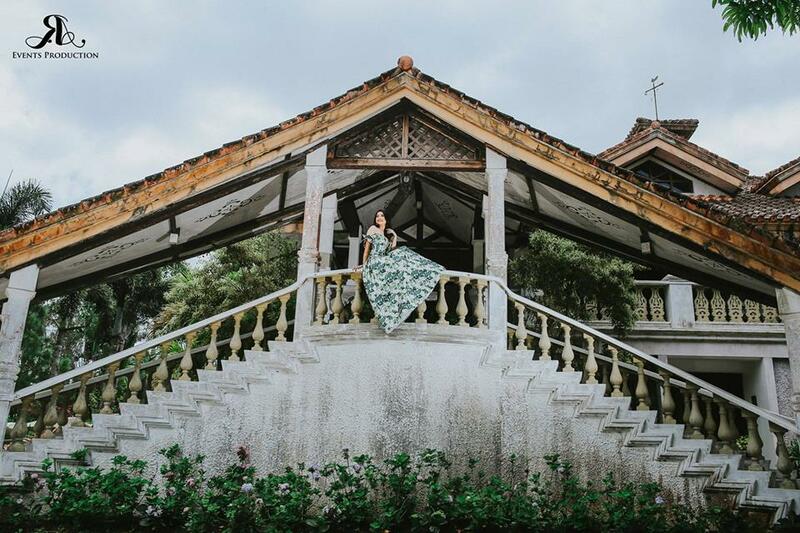 The venue offers a variety of landscapes and backdrops for prenuptial shoots. Use of the venue for prenuptial shoots may be availed separately from the wedding packages. 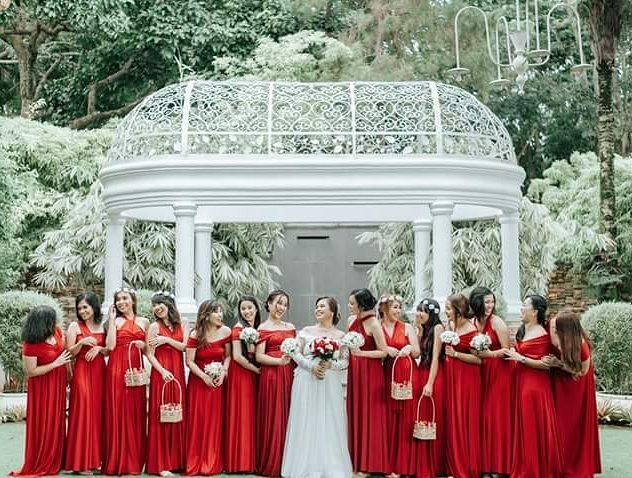 If you’re looking for a Tagaytay garden wedding venue that offers quality and luxury at reasonable prices, choose Hillcreek Gardens. Visit Hillcreek Gardens in Kasal.com today!